“The perfect partner for my performance”, Elia Viviani. enveloping shoe for superior performance. while enjoying the greatest possible well-being for the foot. 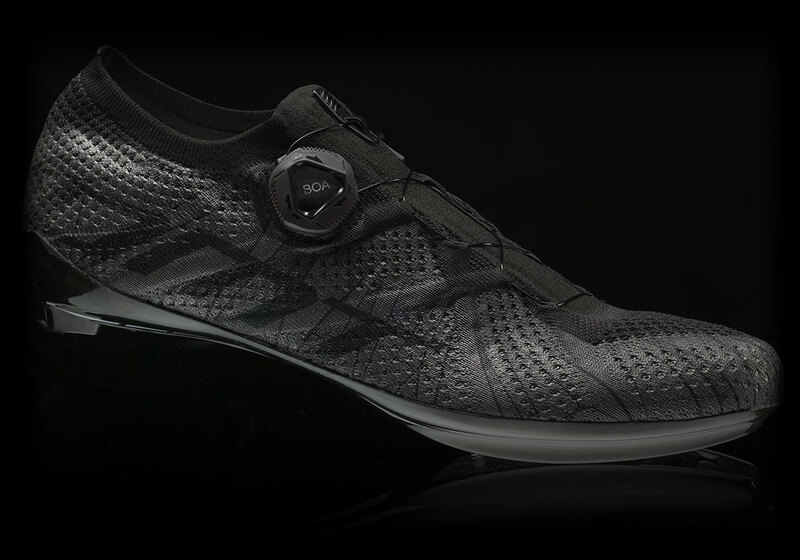 A new generation of cycling footwear. Upper in multi layer engineered 3D knit with integrated webbing 3mm knit layer in pressure zones. In Shape, without waste of material, without any type of stitching and gluing. Ankle collar in elastic rib for a perfect and comfortable snug fit. Anatomic sole construction that follows the natural foot shape for maximum support, comfort and energy transfer. The Engineered 3D Knit technology makes the KR1 knit extremely light and breathable even during the longest rides. Perfect combination of stiffness and comfort. Great performance thanks to the anatomical form fitting shape that is modelled after the foot. Interchangeable anti-skid inserts. 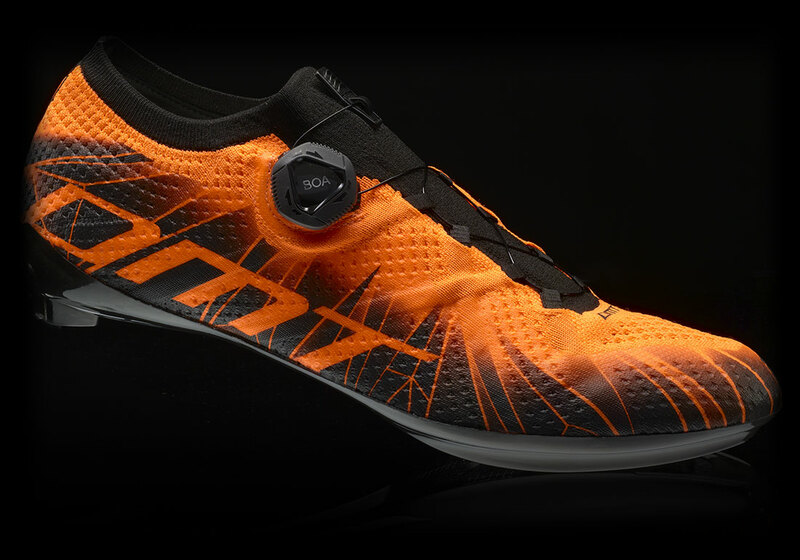 DMT cycling footwear is guaranteed in compliance with articles 128 et seq. of the Consumer Code, which regulate legal and conventional warranties. DMT footwear is guaranteed against material and processing nonconformities, except for defects resulting from negligence, abuse, neglect, improper maintenance, or accidents. The warranty covers a period of two years from the purchase date. To make use of it, you should present the proof of purchase (receipt) to an authorised DMT dealer within two years from the purchase. Requests from the end user to the manufacturer, Diamant, and cases in which the damage was caused by the user will not be taken into consideration. The warranty procedure currently in force is the following: the dealer will take the product and send it to Diamant after contacting the local agent. The footwear will be checked by qualified personnel, who will evaluate whether to repair or replace it. If the defect falls within those covered by the warranty, the company will replace/repair the product free of charge. However, if the defect can be attributed to the consumer, the product will not be replaced and the company may, at its sole discretion, charge the repair costs to the consumer. Products must arrive under appropriate hygienic conditions to be evaluated. If not, they will not be taken into consideration.